WOW Air operates the only direct scheduled flights from Ireland to Iceland. Icelandic budget carrier WOW Air has launched a new wave of lead-in fares from Ireland, including transatlantic flights from Dublin to Boston from €139 each-way. The promotional fares, which went on sale at 10am (Wednesday, September 16), are available to book for select dates between October 1 and December 15. They can also be booked from January 10 to March 10 of next year. WOW operates the only direct scheduled flights between Ireland and Iceland, but some have seen its eye-grabbing promotional fares as a publicity stunt. As we publish, its website (wowair.ie) had one-way fares to Reykjavik from €69 on several dates in October, for example, but rose to €255.22 on October 26. Return flights from Reykjavik to Dublin start from €79.77 in October. Selecting the two cheapest fares together would give a lowest possible return price of €159.75, including taxes and charges but not baggage fees. WOW Air allows one cabin bag of less than 5kg for free, while charging €15 each-way for cabin bags of 5-12kg and €31 for checked bags of up to 20kg. "There are plenty of flights available at these low fares," the airline told Independent Travel. "As the fares are low, however, we see great demand from our Irish customers and they do sell out." 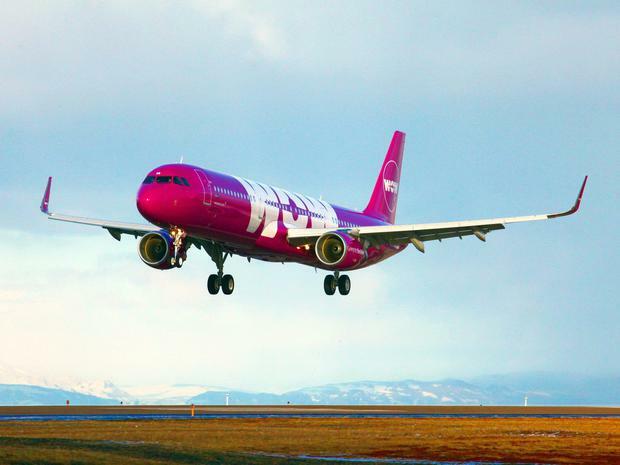 As well as its Icelandic route, the airline describes itself as "the first low-cost carrier to fly to the US from Ireland", with connecting flights to Boston and Washington DC. Flights from Dublin are operated on an Airbus A320, with connecting flights to the US using a fleet of new Airbus A321 Extended Range aircraft. The transatlantic flights involve a two-hour layover in the Icelandic capital, making them longer than direct flights with Aer Lingus, US Airways, American and Delta. Aer Lingus currently has fares to Boston from €239 each way.